Having a tenant move out of a property can be a stressful time – for the landlord. With new tenants to find, the property to be cleaned and paperwork to complete it adds significantly to the workload of property owners. So the last thing needed is a dispute over the inventory. Inventory disputes hold up the moving process, leave a bitter taste with everyone involved and can lead to legal action. Since 2007, private landlords and letting agents in England and Wales have had to use a government-approved tenancy deposit protection scheme to safeguard people’s cash. A similar system began operating in Scotland in July, and fully takes effect on 13 November. 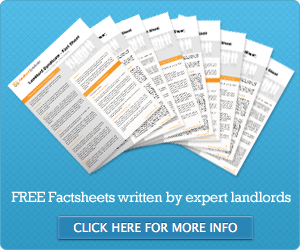 As a landlord you need to ensure the inventory is as comprehensive as possible. It should be a list of everything that’s provided with the property, including furniture, carpets, curtains, appliances, crockery and cutlery. It should also record the condition everything is in – for example, existing damage or wear, such as an old stain on the carpet. The inventory can eliminate disputes at the end of a tenancy when it provides both parties with a clear set of guidelines. Regular inspections will also help keep you aware of the state of the property and enable you to act upon any problems promptly. If it is a one-off issue, discuss with the tenant for them to pay compensation to cover costs of repair or replacement. However, if problems persist or they refuse to pay, you can take legal action. The tenant is required to keep the interior of the property in good condition, including walls, carpets and furniture. ← Should you fear a Government Property Tax?